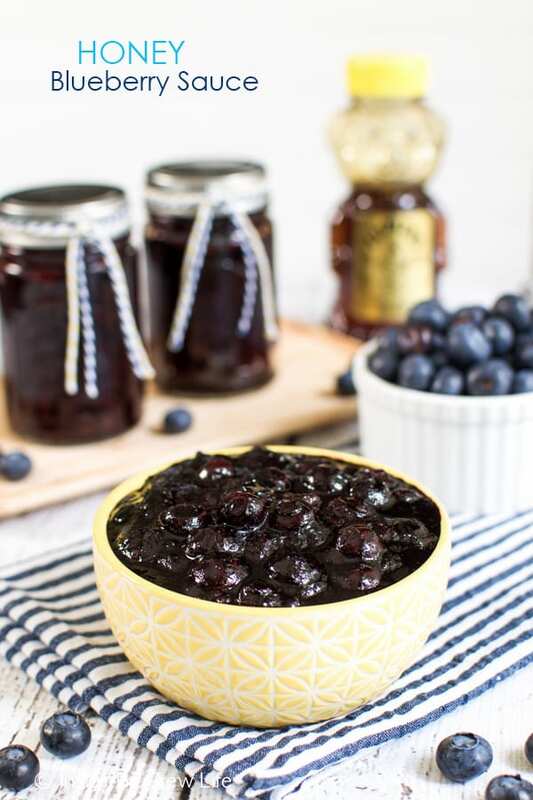 Adding honey to fresh blueberries will create an easy and delicious Honey Blueberry Sauce that is great for topping pies, pastries, cakes, or just eating with a spoon. 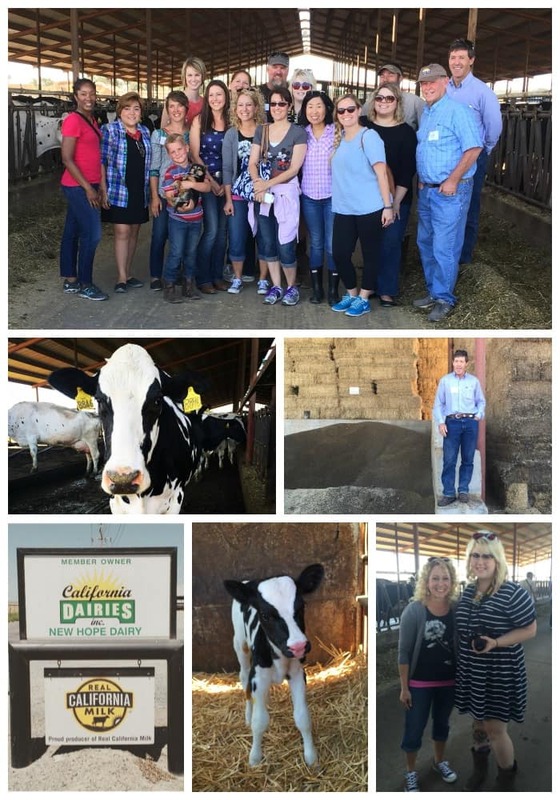 *Thank you so much to Best Food Facts for putting together this amazing trip to Davis, CA to learn more about the food we eat. This trip was sponsored and paid by Best Food Facts, along with this post using honey. 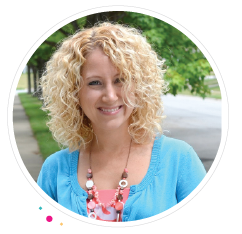 This year I am partnering with them as a blogger for their Taste program. 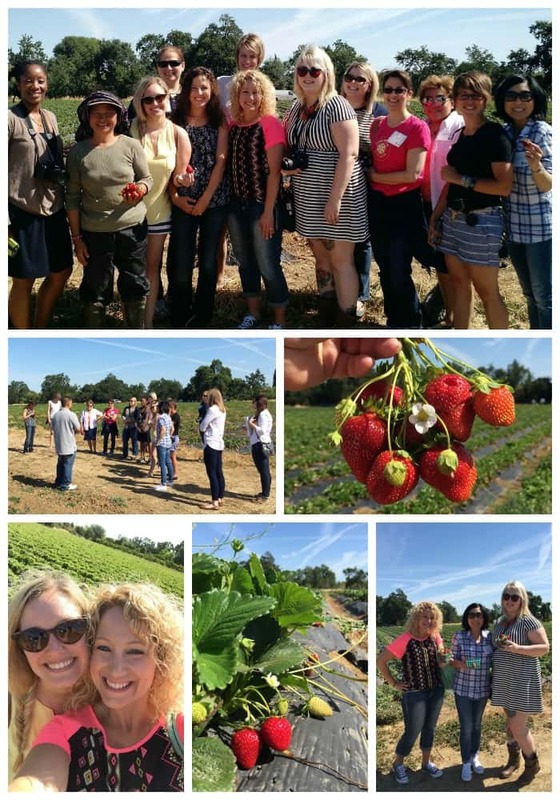 A few weeks ago I was invited to attend a foodie event in Davis, CA along with a fabulous group of bloggers and reps from Best Food Facts. The first night we all met in the lobby of the hotel and took a bus to Putah Creek Winery. 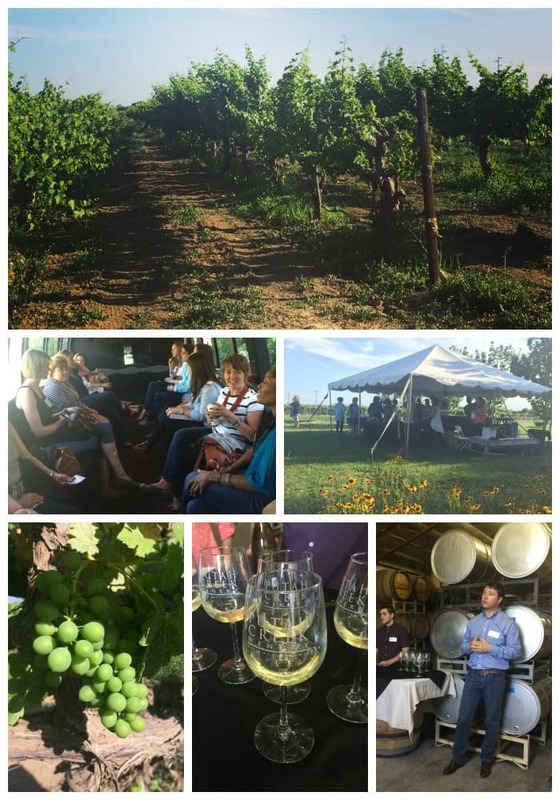 Here we learned about how different grapes are grown and how different wines pair with different foods. The food was amazing! I am still dreaming about the strawberry goat cheese cheesecake that ended our night. The next morning we were up bright and early to go to a local strawberry farm. At the T&Y Strawberry Patch farm stand, we picked up Newt, our tour guide. He took us out to his family farm where we met his mom and learned how his parents had come from Laos and met in America where they started farming. It was so sweet to meet his mom and see how this farm had become successful because she was willing to be in the fields to this very day. They explained how they use drip tape down the strawberry rows, so they do not waste the water they have. They they handed us baskets and showed us how to pick berries from the vines. I grew up picking strawberries, so this wasn’t new to me. Picking strawberries is something that I fondly remember from when I was little, so I love any chance I can get to pick fresh strawberries from the field. After lunch we headed to UC Davis to do a honey and olive oil tasting. I wasn’t quite sure what to expect. In my mind, I thought honey was honey and oil was oil. Boy, was I wrong. We learned about all the different varieties of honey and how different flowers affect the smell and taste of honey. They gave us a honey tasting wheel to distinguish the flavors and the underlying notes in each one. It was amazing to me to be able to open each container and smell the fruity or floral aromas to start with. My favorite honey was the Oregon Blackberry. It had slight fruity smell to start with, but what struck me was that I got a woodsy and almost toasted marshmallow flavor as I swirled the honey in my mouth. I mentioned this to the instructor, and she agreed. If you look at a honey wheel, fruity and woodsy are opposite each other on the wheel making them complimentary. I have to admit this was my favorite part of the trip. It was neat to walk away with a new found knowledge of a food item that I thought wasn’t that interesting before. Our last stop the next day was New Hope Dairy farm. Here we were given a personalized tour of this family owned farm. We met the cow nutritionist and vet and listened as they shared about what they feed the cows each day and how they are treated. The cows were super curious about us as we wandered down the middle of the barn. A few of them even posed for their close ups. My favorite place was the “maternity” trailer. We were able to see a few baby cows that were less than 24 hours old. They were super cute and so wobbly on their new legs. Best Food Facts and UC Davis sent us a jar of honey and olive oil as a thank you when we returned home. Since the honey tasting gave me my aha moment on the tour, I couldn’t wait to make some sort of treat with it. I took some fresh blueberries and cooked them down in a tiny bit of water. Once all the water and fruit juices had simmered off, (about 5 minutes) I stirred in some honey and a little bit of cinnamon. 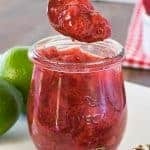 As this cools, it becomes this amazing fruit sauce/filling that you can use in so many different ways. 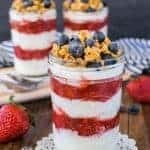 You could spread this filling on a slice of toast, add it to a blueberry cheesecake danish, or eat it on top of skinny banana oatmeal pancakes. Of course, my favorite way so far was just to eat it from the jar with a spoon. Honey and cinnamon add a sweet and spicy flavor to cooked blueberries. This easy filling is great for eating on toast, pastries, baked goods, or eating with a spoon. Bring the water and blueberries to a boil over high heat. The berries will start to release juice as they heat up. Reduce the heat and simmer for 4-5 minutes, or until the water and juices simmer out. Stir the honey and cinnamon into the cooked berries. Let cool. Makes about 2 cups of sauce/filling. 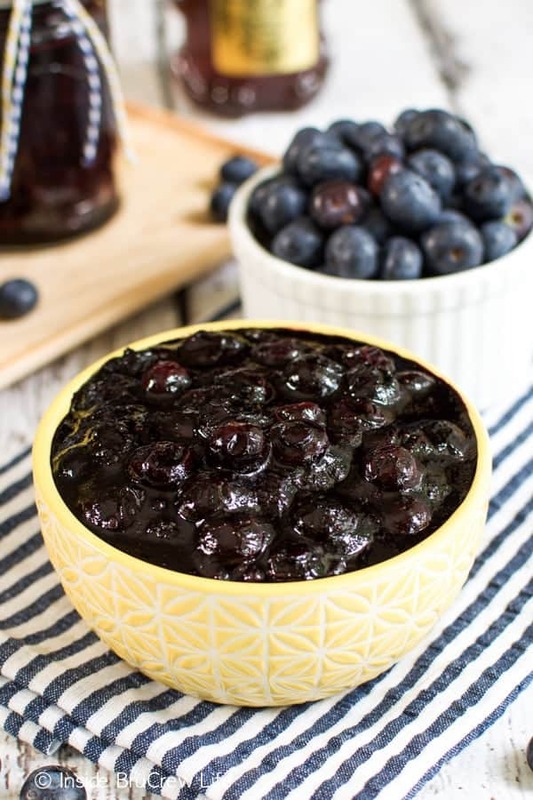 Looking for a few more ways to use your blueberries this year? Check out these recipe from some of my friends. *I was provided with an all expense paid trip to Davis, CA through Best Food Facts. They also compensated me for time creating this recipe and post. All opinions are 100% my own. Thank you so much for allowing me the opportunity to share brands and companies I believe in. 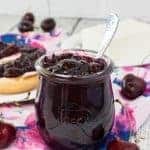 Oh this honey blueberry sauce looks fantastic, Jocelyn! I love you creativity of adding honey to this sauce. I think I would just devour this all with a spoon! Pinned! Thank you so much! And yes, a spoon is a great way to devour these berries! You get to have so much fun!! 🙂 I loved reading about your experiences. Thanks for this recipe, too. I love the idea of it being sweeteend with honey! It was such a fun trip! I love finding ways to sweeten things with honey instead of sugar. What an awesome trip. And I never knew about the different flavors of honey! This sauce sounds amazing. I learned so much about honey in such a short little demo…I wish that portion had been a little longer. And these blueberries are so good! 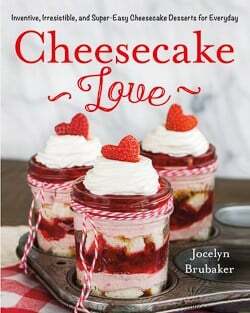 So fun – I can’t wait to try the honey blueberry sauce – I’m gonna smother some vanilla ice cream – YUMMMMM!! That sounds like an awesome way to use this berry sauce! I could eat that sauce with a spoon and not feel a bit guilty about it! 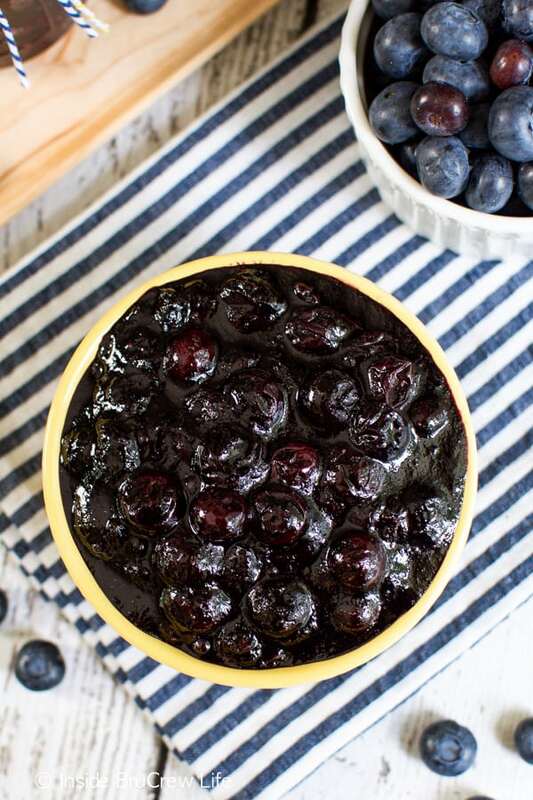 I’m not going to lie…I ate way too many spoonfuls of this blueberry sauce. I have more in my fridge, and now I want to go devour some more! 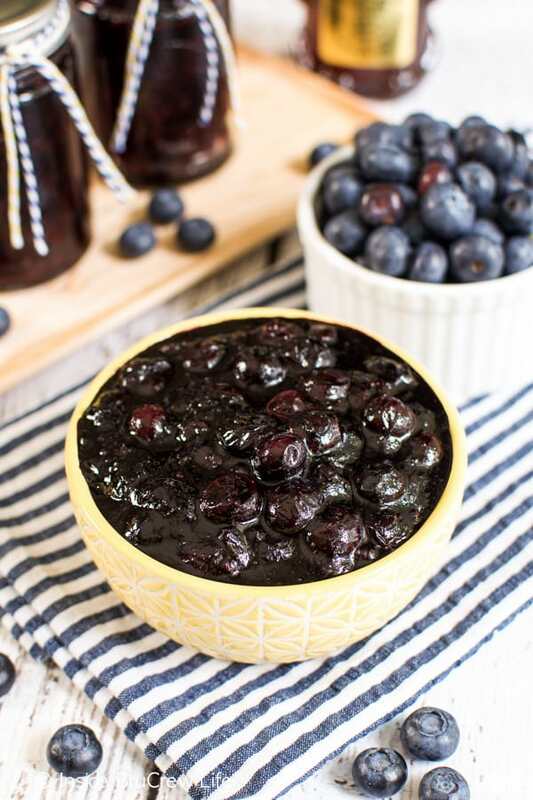 I love your trip recap and this honey blueberry sauce looks divine! That looked like such a fun trip! I’m so sad I couldn’t come down and see you. This sauce is perfection! I’m sad I missed out on seeing you! How crazy that we were so close! Thank you, Joan! It was such a fun trip. 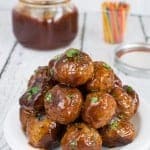 This sauce has so many fun ways to eat it! I’d be putting this on everything! It sounds amazing! What a fun trip! This sauce looks delectable! Love the honey blueberry sauce!!! 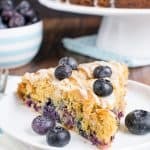 We are trying to eat healthier, and since blueberries are so healthy, this will be a great addition to the usual muffin. Honey is a favorite here. You have to try orange blossom honey, and buckwheat honey, which is my personal favorite. What a fun trip! So jealous. 🙂 This sauce sounds amazing. Love blueberries and honey so of course putting them together will be delicious! Great idea!! Thank you, Michele. Definitely try the honey and boiled down fruit…I think it would work with just about anything. Oh yum! I usually use sugar , but am certainly going to give the honey a try! Thanks Jocelyn! Oh, definitely switch out the sugar and use honey next time. It is so good this way!!! OMG! 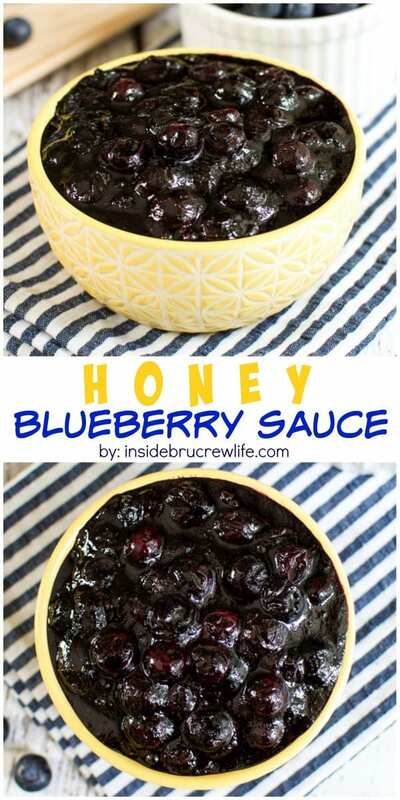 I love how you transformed fresh blueberries into this amazing sauce! Love it!! Miss you tons already! Thank you so much girl. I miss you too! Can’t wait to meet up again! I had so much fun with you in Cali and can’t wait to see you again later this month! 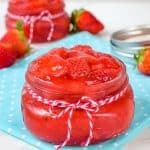 Fabulous recipe, this looks incredible!! Thank you so much girlie. Sadly I won’t make this month’s meet up. Sad face! But I should be at the last one! What a beautiful recap and your recipe is divine. I will have to try it soon! Thank you so much, Adriana!!! I hope you enjoy it! What a great recap, Jocelyn, and this is such a simple and amazing idea. I think I’ll try it with Saskatoon berries, they grow everywhere here! Oh, this would be great with those berries too! It was so great meeting you! Can’t wait to get to know you more! Would this work with frozen blueberries? Yes, I have made it with frozen blueberries too. Just leave out the extra water from the recipe because as the berries thaw they release liquids. I hope you enjoy it! I want to get invite in those foodie event, It will be a great opportunity to learn many things. I enjoyed reading and while reading I thought I’m also there and saw those curious cows (hehe). This looks delish. Just bought fresh blueberries today so I will try this. What other fruits do you think will work? I hope you enjoy it. I have also done a triple berry blend using blackberries, raspberries, and blueberries. That sauce looks delicious! Thanks for sharing my pancake bites.